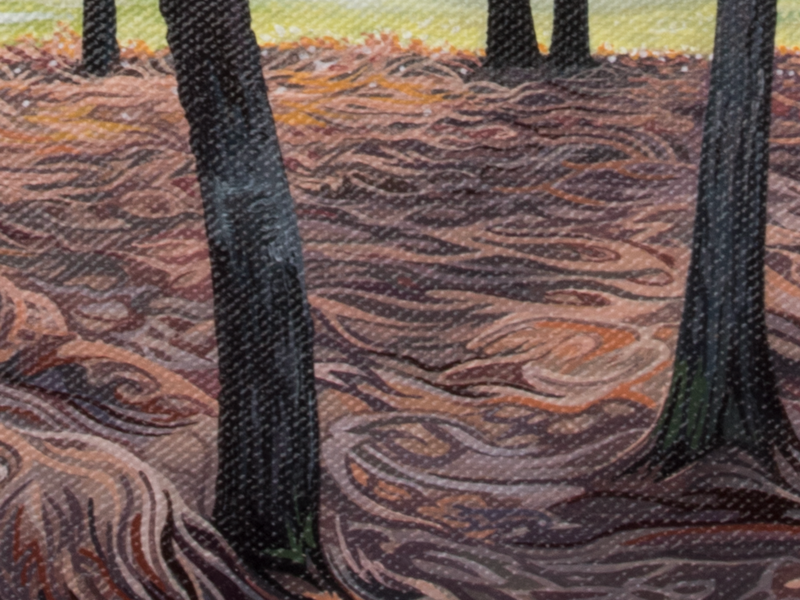 Sunset Through the Pines is a study based on sunlit woodland in The New Forest. I enjoyed creating this piece as it was a return to developing a new style for pine canopies really felt like I was working in sections on this one; The sky, the canopy and the wind flattened bracken beneath the trees. But overall, I enjoyed working with the palette of colours in this one. This painting feels like a fresh morning after a night of rain and if you've ever been to the New Forest, I think it captures part of its character. The exaggerated, sweeping fractal style of the canopy help to give it an ethereal quality when you get up close to it.